Had Mr. Tsipras visited the Delphi Oracle to hear a prophecy about the outcome of his bailout negotiations with the Troika, very likely he would have been given an ambiguous statement to ruminate. Should the plan of agreement be accepted, which was submitted by the European Commission, the European Central Bank, and the International Monetary Fund in the Eurogroup meeting of 25 June 2015 and comprises two parts, which constitute their unified proposal? Nobody expects Greek people to give a straightforward answer to such awkward question—even if that were possible at all. 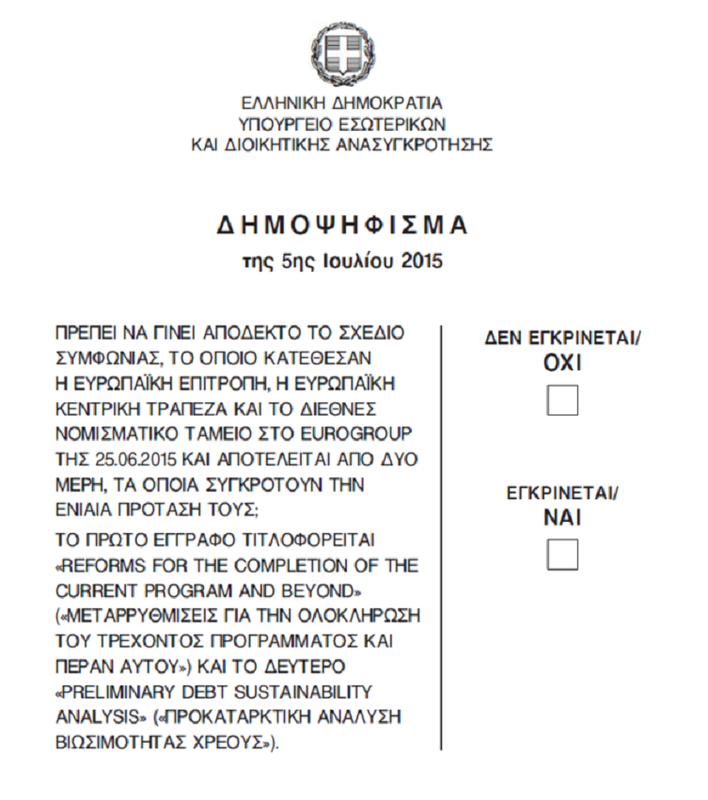 Greek voters must have been ruminating over the question for the whole week, as if the oracle had spoken to them. Everybody knows than OXI is different from NAI and the answer will drive us into the next act of this incredible 21st century Greek tragedy. Interestingly politicians and commentators will have to ruminate over what Greek people have meant after the result of the referendum is known. Their words will be as if the oracle had spoken to the international community. Only Greeks can vote, but what’s at stake is a lot more than Greek’s fate. Funny game. I know how I would vote. Wouldn’t you? Greece: it can’t get *that* much worse, can it? Previous How Can Our Old Brains Run 21st Century Complex Culture?